Just as they say that beauty is in the eyes of the onlookers, Uttarakhand proves this to be true. With more than fifty beautiful hill stations that will give you a treat to your eyes, it is one of the most sought-after travel destinations in India. Nestled between Tibet, Nepal, and Himachal; Uttarakhand is a gem of the nation. Home to beautiful snow-covered mountains, charming lakes, rumbling waterfalls, and a bloom of flowers; Uttarakhand is no less than a wonder at every nook and corner. There are many hill stations in Uttarakhand that will satisfy the wanderers and adventure seekers. With many snow sports activities and recreational activities that act as a cherry on the top, this beautiful state is a true treasure of the country. Often referred to as the ‘Queen of Hills,’ Mussoorie is the pride of Uttarakhand. Located in the lap of the beautiful Himalayas, Mussoorie holds a very special place in the tourism of Uttarakhand. It is one of the hill stations in the state that you need to visit at least once in your life. Be it the snowy mountains or the rumbling waterfalls, everything about this place stand up to its name. Known for its scenic landscapes and rich heritage, Almora in Uttarakhand is one of the most sought-after destinations in the country. Home for the hill temple and many other ancient temples in the state accompanied by stunning landscapes and weather, Almora is one of the best hill stations of Uttarakhand. If you are a snow baby, then Auli is the perfect choice for you! Be it skiing or snowboarding, Auli is the ultimate destination for all the snow sports activities. Offering panoramic views of the beautiful mountains at freezing temperatures, Auli will transport you to a different peaceful world. This mystical place is sure to give you utmost peace and relaxation. 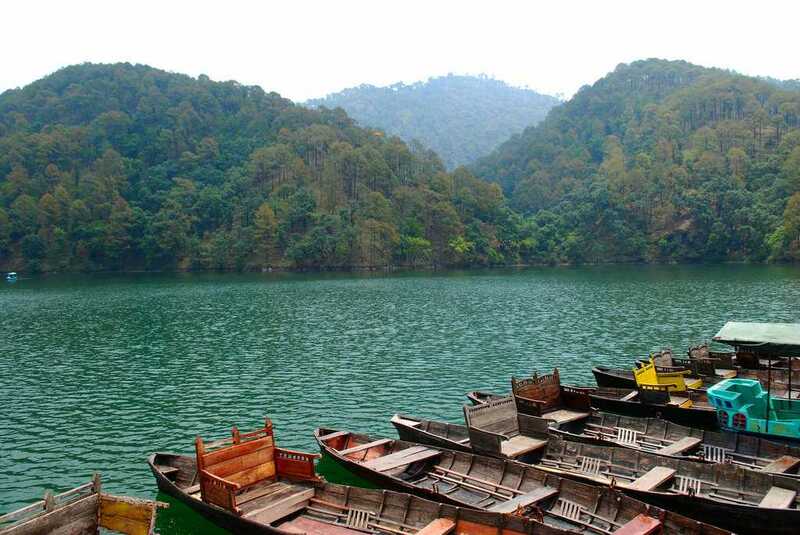 Known for its pristine lake, Bhimtal is one of the gems of Uttarakhand. Surrounded by magnificent hills and lush green borders, the lake of Bhimtal offers some scintillating views enough for your lifetime. Regarded to be the most unpolluted area of Uttarakhand, Naukuchiatal is one of the best hill stations to visit in Uttarakhand. Be it the beautiful sceneries or the utter silence, everything about this place attracts people from various parts. Home to a cluster of seven lakes, which breed many migratory birds, Sattal offers you a different kind of experience. If you can manage to visit the hill station at the right time, you can witness some amazing birds that you might not find in any other part of the country. Nestled in the Central Himalayan region, Chamoli is a great place to spend your holidays. It hosts a great range of activities like trekking in summers and skiing in winters for all the adventure seekers. It is one of the rarest and unpolluted gems of Uttarakhand that surely deserves a visit. Apart from this, Chamoli is also the home for some ancient temples for all the people who admire art and history. Words can never suffice the beauty of Nainital. Be it the Naina Devi Temple or the beautiful Naini Lake, Nainital has got a charm of its own. One of the most popular tourist destinations, Nainital is a place that should definitely be on your bucket list of places to visit. Stunning landscapes, panoramic views, and gorgeous lakes make your visit to Nainital worth every bit. If you love snow and some adventure added to it, then pack your bags and head over to Uttarakhand. Every place you visit here deserves to be on your bucket list, and is sure to never disappoint you!